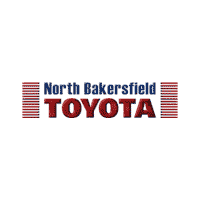 North Bakersfield Toyota wants you to know that Scion Service Boost and Scion Service Boost Plus will still be honored for those vehicles meeting the program requirements. Additionally, our factory trained certified technicians using Genuine Toyota Parts, are available to service your Scion if these programs are no longer applicable for your vehicle. Normal factory-recommended maintenance services1 for up to 2 years or 25,000 miles, whichever comes first. No cost 24-hour roadside assistance2 for up to 2 years from the date of purchase. Maintenance performed by trained technicians who know your vehicle the best, using Genuine Toyota Parts. Service reminders mailed to you prior to your next service. Includes emergency supply of fuel, does not include parts and other fluids. Does not include parts and fluids, except for emergency fuel delivery. Valid only in the continental U.S. and Alaska.